A message from DJ Peter Joseph - "Have DJPower Will Travel"
Your sound is in good hands. 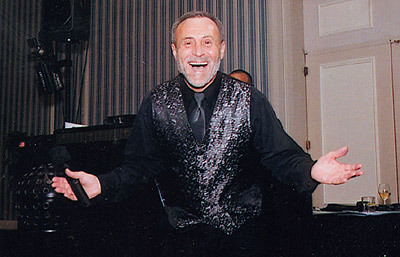 I'm very excited about my latest state-of-the-art DJ system - I have a music library of thousands of songs available for you and your guests using my computer system made by DJPower. The sound quality is out-of-this-world. 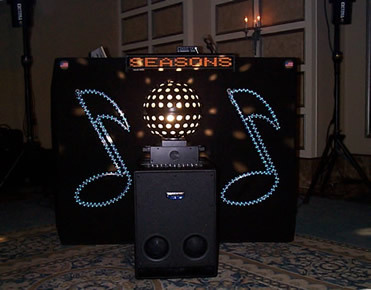 I use powered speakers by Mackie (SRM450 top of the line stuff) to make sure everyone is out on the dance floor. 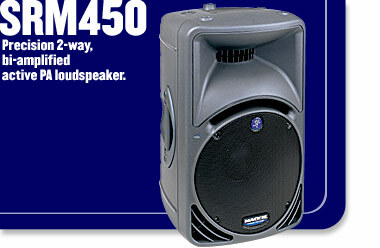 Plus a Mackie Sub-Woofer (SRS1500) to really give it that "whooomph"! The set-up is great because it's very compact - it can fit almost anywhere. But don't let it fool you... it's loaded with power. (see more below). Great lighting system available, including a white disco ball, and Mojo Scan "Intelligent" Lighting for spectacular lighting effects and lighted fasade. But not anymorrrrrrrrrrrrrre!!! Now the 21st century has arrived!! Armed with a new laptop computer called DJPower with two 100 gigabyte hard drive (one is for backup) and 2 sound cards and the DJPower software programs I can mix just like a DJ with 2 turntables. Volume and Pitch control with ease. Faster access to songs when needed for special request from your clients. Find songs by genre, artist, Title, bpm, Year, etc. You can customize your mixes. Entire song list automatically alphabetized in directories I create. The software program shows me the order that songs were played, up to one or more years ago. I can still play CD's through the computer's CD-Rom that I have available, if needed. You can program your entire evening. A variety of ways to automatically and seamlessly fade from one song to the next. A variety in which to mix your songs manually. 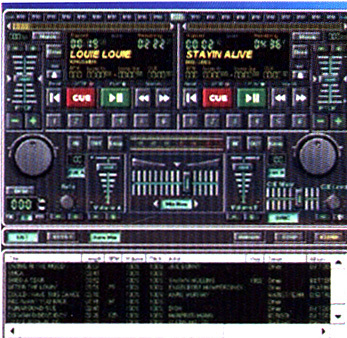 Automatically beat mix ...and much, much more! "DJ FOR YOUR HOME PARTY"
Push back the furniture... 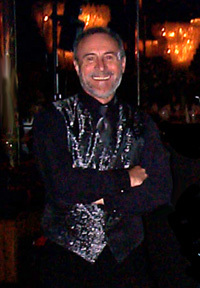 Roll up the carpet... and dance, dance, dance the night away. 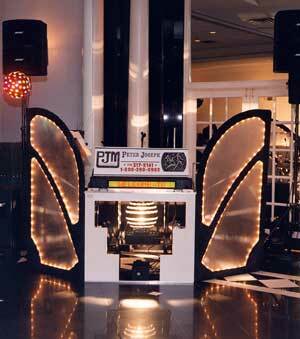 Make your party special … give it excitement … get it moving with DJ Peter Joseph playing all of your favorite songs. With his DJPower computer and self-powered Mackie speakers. His computer holds over 30,000 songs. If needed for small parties, I can go small and bring only my DJPower computer, one or two self powered speakers (Mackies or JBL Eon) and a microphone to professionally entertain an entire event, worry free. No need to carry boxes and boxes of CD's & Mini-discs. 100 Gigs holds an almost infinite number of songs reaching into the 10's of thousands. I can program your entire affair, save it for that special day and use it with or without modifications and find those last minute requests with ease. And lots of smiles on the faces of your guests. 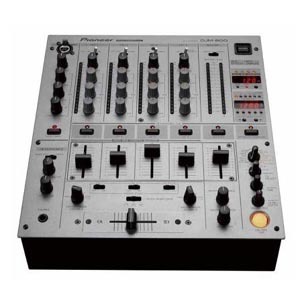 DJPower has its own fully integrated mixer. Equalizer: a unique, very high quality, real time, with 3 to 24 bands per channel with the best quality/performance in the market. 160 hot buttons: 160 immediate accesses to songs play them over; loop them, very good for those special effects sounds or jingles. They are just a click away. Two Mackie SRM450's - "Active Sound Reinforcement" designed to be the strongest molded composite cabinet on the planet. The built-in amplifier produces a low frequency up to 540 watts peak and a high frequency up to 150 watts peak. A custom-made backup switch is available in case of clipping, allowing the music to go on with a separate amplifier. One Mackie SRS1500 Active Sub Woofer. The built-in amplifier produces 600 watts of power. The cabinet is constructed with 18mm thick multi-layered birch plywood. 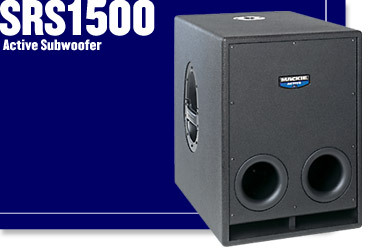 The SRS1500 subwoofer is designed to sit on the floor for great bass response. - Highest quality and best performance. Eight-channel ultra-low noise preamp-mixer with separate main mix control Cross fader and headphone output. 3-band EQ on all channels. Extremely rugged construction ensures long life even under the most demanding conditions. One EON G2 from JBL. The built-in amplifier produces low frequency of 125 watts, high frequency of 50 watts. 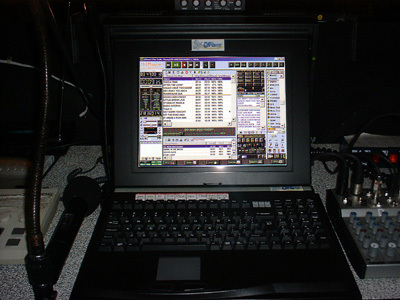 It is a one-piece PA system. Portable Sony CD player or IPOD is connected to the speaker - and also has a Shure cordless microphone for announcements or vocals. Highest quality and best performance. 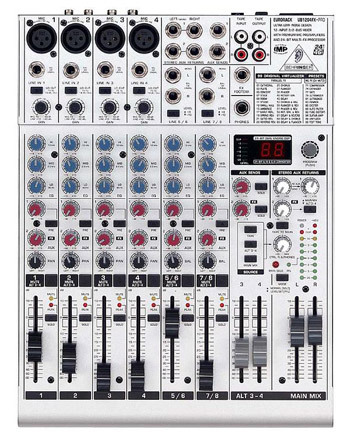 Eight-channel ultra-low noise mixer with separate main mix control and headphone outputs. Ultra-musical 3-band EQ on all channels. Extremely rugged construction ensures long life even under the most demanding conditions. Audiopro Micromix - Professional 8-channel stereo powered mixer. The power amplifier produces 500 watts. The mixer has a 3-band EQ on all channels. The Audiopro is the flagship of Yorkville Sound and is the most powerful combination mixer/amplifier available anywhere. This video clip has been compressed for Macromedia Flash 6.0 to stream on the Internet.